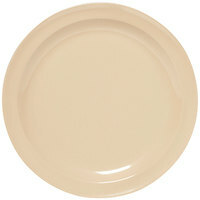 Add flair to your casual dining area with the Carlisle 4350125 Dallas Ware 9" tan melamine dinner plate! 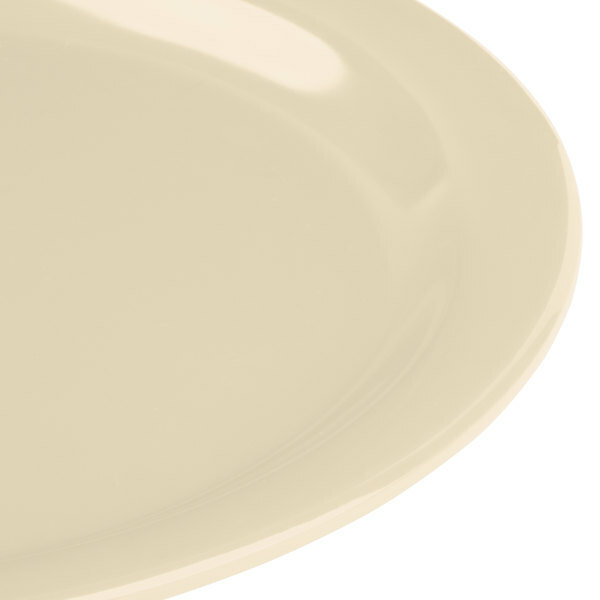 The original industry standard for melamine dinnerware, this Dallas Ware product offers superior stain and scratch resistance for long-lasting use. Saucy foods won't leave lasting impressions on this plate, and guests can easily cut into their meal without creating knife-marks. 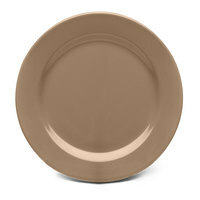 Use this Dallas Ware plate to serve your offerings in convenient style. "when it comes to plate ware melamine is the way to go. its almost hard to break them and they last wash after wash. the price when broke down to the each cant be beat." 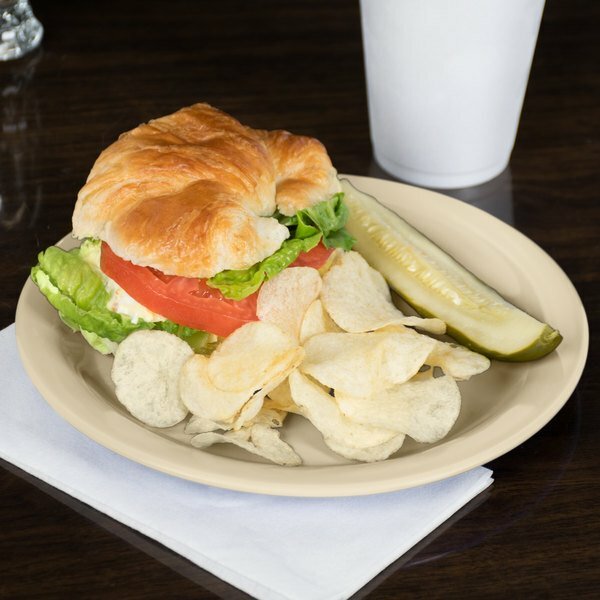 Made from shatter- and break-resistant melamine, this plate promotes a safe work environment in your high-volume restaurant, bar, cafeteria, or outdoor venue. Plus, with the added benefit of quick and easy cleanup, your staff can maximize their productivity at the end of meal service to efficiently clean the kitchen and dining area. 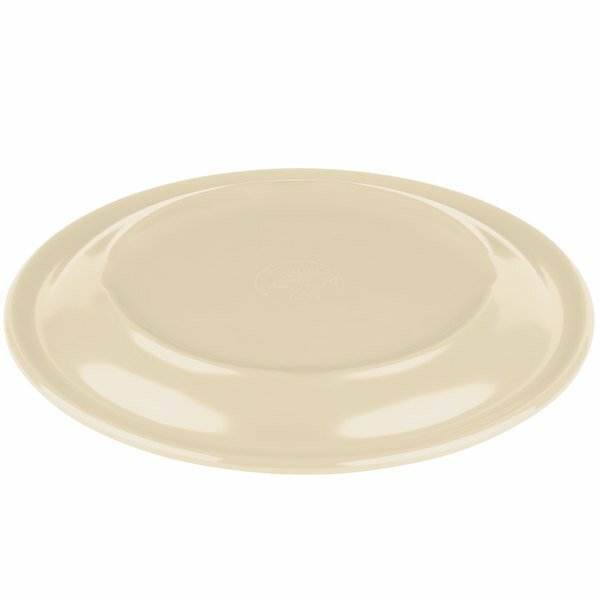 With a reinforced rim and foot, the plate allows staff to serve entrees with confidence. 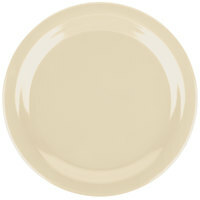 The warm, tan coloring is sure to bring attention to your signature offerings. 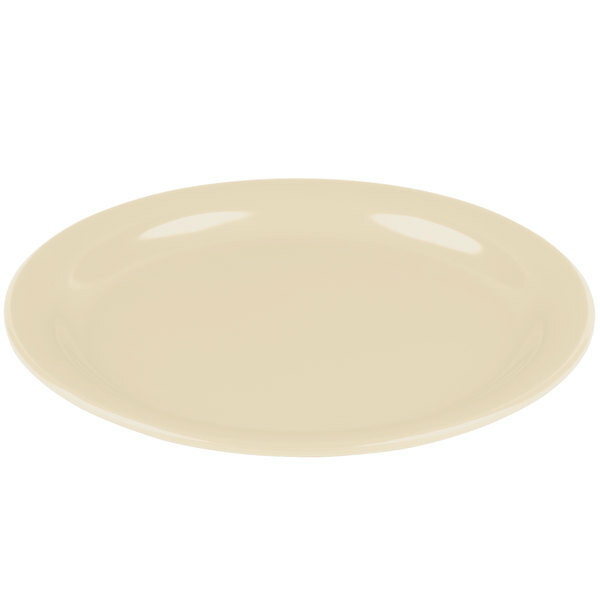 This plate is dishwasher safe and can handle temperatures of up to 212 degrees Fahrenheit. 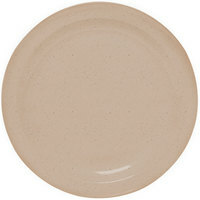 when it comes to plate ware melamine is the way to go. its almost hard to break them and they last wash after wash. the price when broke down to the each cant be beat.